Snow and ice await the teams arriving in Maniwaki, Québec for Rallye Perce Neige. Slippery conditions have a way of minimizing the importance of horsepower, and drawing out the value of experience. In 2016, mechanical problems and driver error for some teams left the podium wide open for some new faces and set the tone for the entire 2016 championship hunt. This year, competition is amped up even more with the inclusion of the American Rally Association. Teams from both sides of border are promising to make things very interesting for all involved. On a start list with familiar names and new, who stands out among the usual favourites? We’ve got some names to watch, and why you should keep an eye on these teams at Rallye Perce Neige. 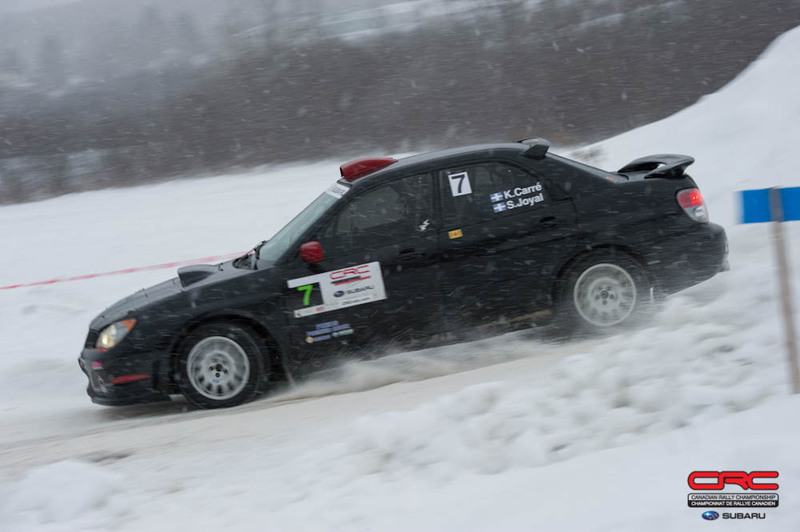 “Crazy” Leonid Urlichich and Alex Kuhirani have entered the rally in a Subaru Production AWD Impreza. Sixth on the road to start the event, they represent something of an unknown. Urlichich was among the fastest drivers in Canada when he last regularly entered CRC events. But after a year of WRC two-wheel-drive competition, he’s taken a break and focused on developing a performance driving school. Whether that work has kept his skills sharp enough to be a contender in this field will only be known by the end of the rally. 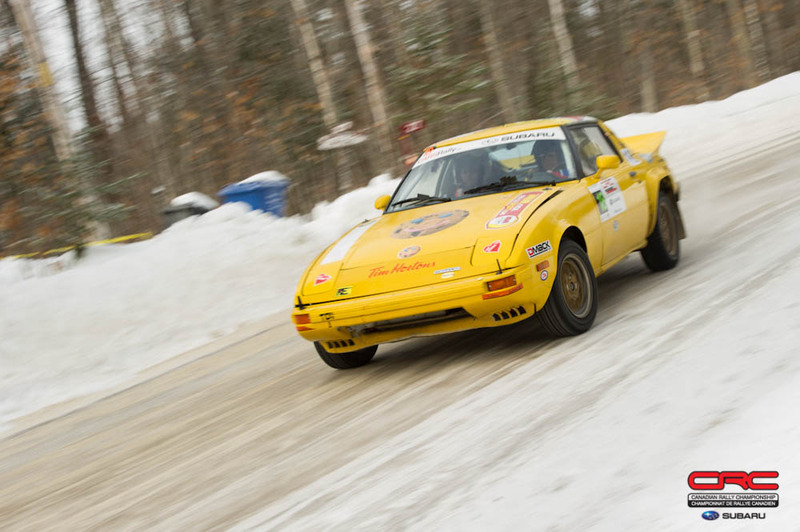 Mal Swann is a familiar sight in his yellow RX-7, but is leaving the rear wheel drive car at home. Instead, he’ll be piloting a Production class Subaru prepared by Freedom Racing. Swann has been a long-time CRC competitor, who had taken some time away from the sport. Though he’s currently working to build a new RX-7 for competition, he’s excited to try something different. “The dark side has been calling me for a while now. I need to see what it is all about,” said Swann when the news broke on Facebook. Last year, André and René Leblanc were in the hunt for victory at Perce Neige. The Gaspesien brothers have shown impressive speed over the last year, and have been working closely with the Sprongl brothers – multiple-time Canadian champions – to up their game. Though driver error took them out of the running last year, they had been running strongly. They’ll need to remain focused and calm to improve on last year’s result. Karel Carré and Samuel Joyal have shown impressive speed at every event they have entered. It’s no surprise when each is part of a family steeped in rallying. Carré’s father Bruno was a legend on ice and snow, and has worked to help train his son to pick up where he left off. Joyal’s father co-drove for Antoine L’Estage for the first part of the Champion’s career, and Samuel looks set to carry on the family tradition. Mechanical problems cut their 2016 Perce Neige short, but like the Leblanc team, Carré and Joyal were in the hunt for victory. Legends on ice and snow don’t get much bigger than Sylvain Erickson. From nearby Gatineau, Erickson was a regular threat in the Canadian Rally Championship. 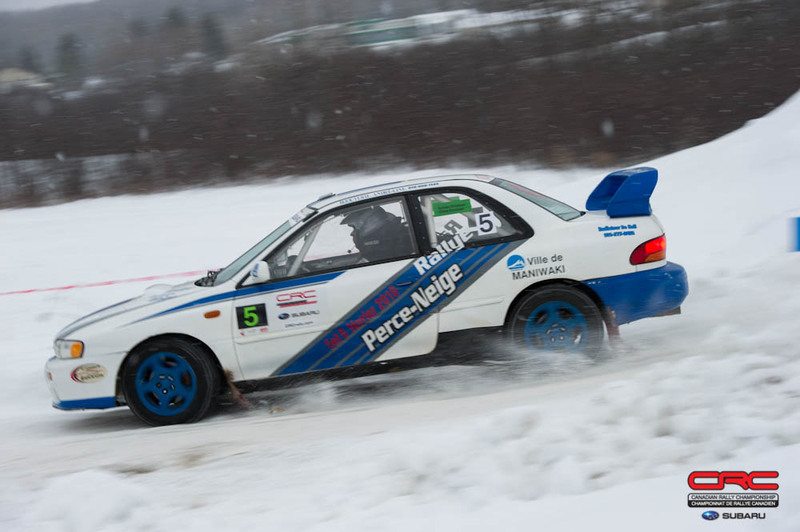 Despite focussing on Perce Neige for the last few years, he hasn’t had machinery that could live up to his driving. For the last three years, Erickson has entered the rally with a custom-fabricated all-wheel-drive Hyundai Accent. Each time, mechanical problems sidelined the team. In 2016, problems struck before the start of the rally and Erickson was able to get his hands on a much less powerful Impreza that just wasn’t up to the task of running at the front. This year, he’s entered in an Open class Impreza that should be more his speed. Bill Bacon and Grzegorz Dorman represent one of the top American teams also taking part in the CRC competition this weekend. Bacon is a familiar name to long-time rally fans, having driven for the Suzuki Canada team in a Swift+ a decade ago before running an immaculate and fast all-wheel-drive car. He’s now switched to a Subaru Impreza, and has all the skills to make am impression this weekend. Cameron Steely and Danny Grant will headline the two-wheel-drive field in their Ford Fiesta. Steely hails from Colorado, and is entered both in the ARA and CRC competitions. Steely started competing in 2011 in two-wheel-drive, and has stuck with the class, notching a number of victories in recent years. 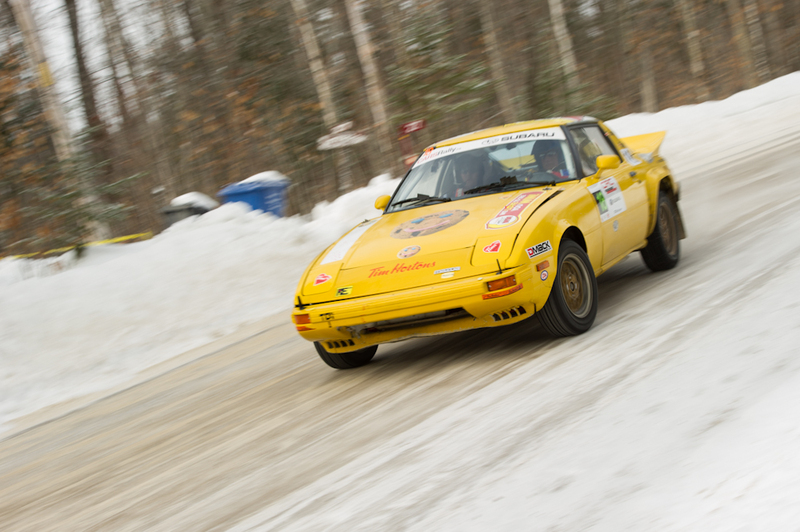 He took the top spot in class at last year’s Sno*Drift rally, the only winter rally south of the border. Steely will face off against Jason Bailey and Shayne Peterson who are also in a Ford Fiesta. Bailey won the 2016 CRC 2WD title, and is quickly coming to terms with his new car. Though he said at Big White that he found it more challenging to drive in the snow and ice, we expect he’ll have a few ideas on how to improve the performance at Perce Neige.